Get ready to amaze your customers with beautiful photorealistic visualizations of your parts or products before the prototype is even built! 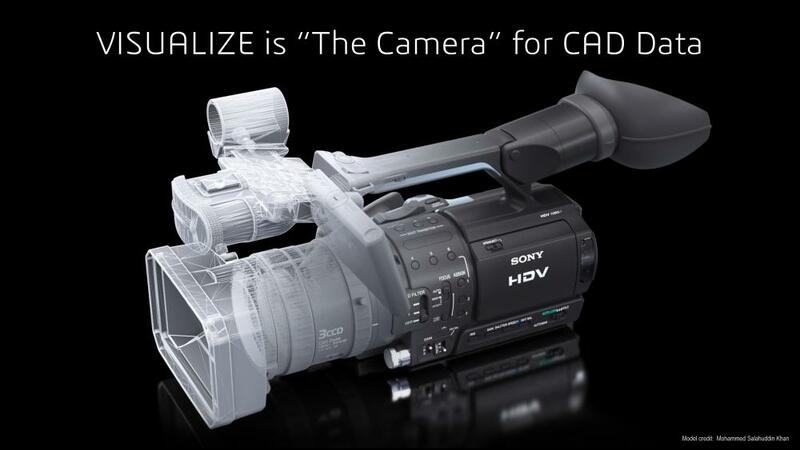 SOLIDWORKS Visualize leverages industry-leading rendering capabilities and an easy to use interface to create professional, photo-quality images, animations and other 3D content quickly and easily. Not limited to technical users, SOLIDWORKS Visualize can be used by anyone in your organization, such as your marketing team, to create and communicate high-quality visual and emotional content to drive innovation, design decisions and business solutions. SOLIDWORKS Visualize Standard comes complimentary with every license of SOLIDWORKS Professional and SOLIDWORKS Premium that is purchased with Subscription. This complimentary seat of SOLIDWORKS Visualize Standard can be given to anyone in your company! SOLIDWORKS Visualize is a separate standalone product and does not occupy the SOLIDWORKS 3D CAD license. To give SOLIDWORKS Visualize Standard to someone else in your company, please simply forward this blog post and provide them with the SOLIDWORKS Visualize Standard serial number. 1 – Login to the SOLIDWORKS Customer Portal using the account your SOLIDWORKS serial number is associated with. If you do not have an account you will need to register first. If you do not see such a serial number, click Home go back to the portal main page. Please continue to step 4, as you will need to register your product to obtain the serial number. 6 – Click on the checkmark icon to choose a product/version. Click the chevron next to SOLIDWORKS Professional or Premium 2017. 7 – Click ‘Ok’ > ‘Next’ to finish. 8 – Click Home to go back to the portal main page. 9 – Click ‘My Products’, and the “with SOLIDWORKS Visualize Standard” serial number should appear now. 10 – You can now enter this new Serial number when installing SOLIDWORKS 2017 or if SOLIDWORKS is already installed, follow the 3 steps below. * For network licenses, use the same serial number as your SOLIDWORKS license, simply reactivate the network license manager for 2017 and enter this serial number under both SOLIDWORKS and Visualize when installing on the clients. If you purchased Visualize Standard separately or have purchased Visualize Professional, you will use the same serial number as Visualize 2016. Also new for SOLIDWORKS Visualize Professional users is Visualize Boost (network rendering), this can be obtained from My Products using a similar process as above. If you have any issues installing or updating your SOLIDWORKS Visualize license, please contact CAD MicroSolutions’ Support Team via email at support@cadmicro.com or call us at 416-213-0533. Subscription customers can access free video tutorials on SOLIDWORKS Visualize via their MySolidWorks customer portal. For more information on SOLIDWORKS Visualize or Subscription Services with CAD MicroSolutions, please email me at mkhan@cadmicro.com or give me a call at (416) 775-9715.